Lessons from a Laughing Librarian: Friday "Wrap Up"
- spent lots of time working on my makerspace that I will be starting Oct 5. 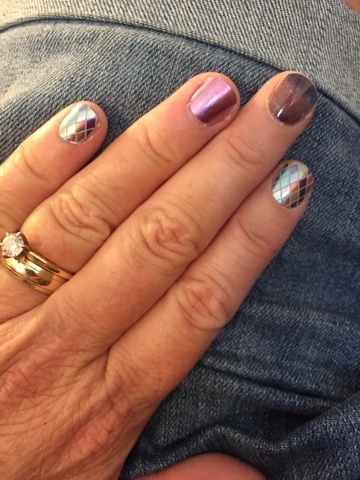 And my wraps... Renaissance, retired Orchid Glimmer and Retired Galaxy. Renaissance is one of the new "Satin" wraps. It is so shimmery and applies really nicely.